New from Hilltrek - our latest Ventile® Pile smock. Meet our new Ventile® Fibre Pile smock! This smock has been on our design board for many years, but needed time and an eager customer to finally bring it to fruition. With a tough Ventile® outer and deep pile inner, our smock is ideal for bushcraft, cold weather mountaineering and trekking, outdoor photography, nature watching and field sports. For some time we've been intrigued by the use of deep pile fabric in technical outdoor clothing. Trying out some of the brands already in the market on the hill over many years revealed to us a number of weaknesses, in particular the use of a synthetic outer. To us at Hilltrek it seemed obvious that a much improved product would result by using a Ventile® outer. Less prone to damage in undergrowth and quieter for nature watching and photography, a Ventile® outer also works better in showers and is more windproof than most synthetics. As a bonus for bushcrafters, Ventile® copes better than synthetics with sparks from a wood fire. 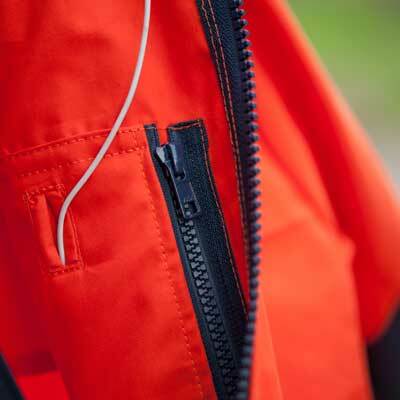 As well as the benefits of the combination of a single Ventile® outer with deep pile fleece inner, our new smock comes with the features and attention to detail that you would expect from a Hilltrek product. The high collar and adjustable hem give extra protection when the going gets tough, while zipped two way side vents provide adjustable ventilation for warmer conditions. Front storage, velcro sleeve adjustment and YKK zips throughout are all included. Continuing our tradition of naming our clothing after iconic Scottish mountains and places, we're running a competition to name our new smock. So let us know your suggestions, along with a description and maybe a couple of your own photos, telling us why you have been inspired by this name and what makes it ideal for this great new product. Each entrant will receive a 10% off voucher* to be used before 31st March 2019 and the winner will receive one of the first production smocks worth £250. We look forward to hearing from you! Entries need to include your own name and your suggested name for the smock, along with why you are inspired by this name and what makes it ideal for the smock. If you wish, include a couple of your own photos to help tell the story. You agree that we can use your name, description and photos on the Hilltrek website and other advertising material as part of promoting the new smock (we won't pass your email to any third parties). The winner will be announced on the Hilltrek website before 31 December 2018; Hilltrek's decision is final.